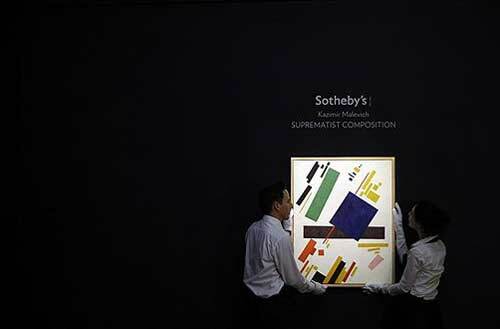 Auction's top lot, "Suprematist Composition" (1916, oil on canvas, 88cm x 70,5 cm) by Kazimir Malevich, showed that iconic works still command high prices. 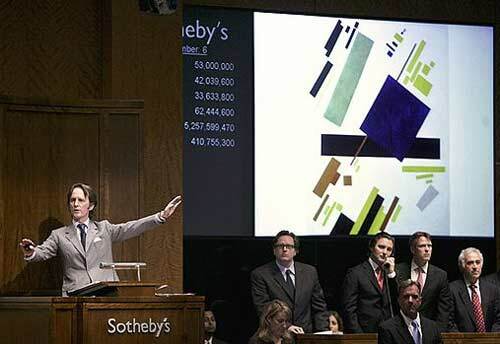 The artwork features floating black, yellow, orange and green rectangles painted against a crisp-white background. 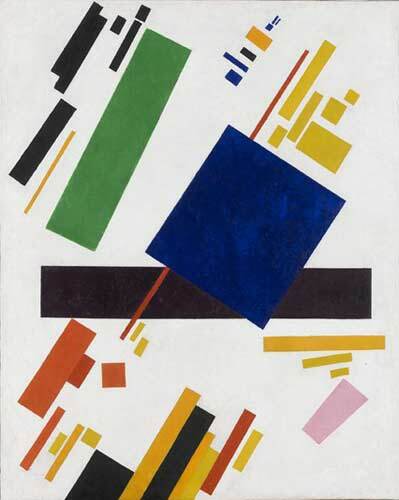 Kazimir Malevich, a world-renowned founder of Suprematist and one of the originators of the Russian avant-garde and geometric abstract art, taught at the Vitebsk Art School (Vitebsk, Belarus) in 1919-1922. He is one of the most brilliant innovators who founded new trends of the Modern art. He is a world-famous theorist of avant-gardism and an initiator of a revolutionary artistic education. 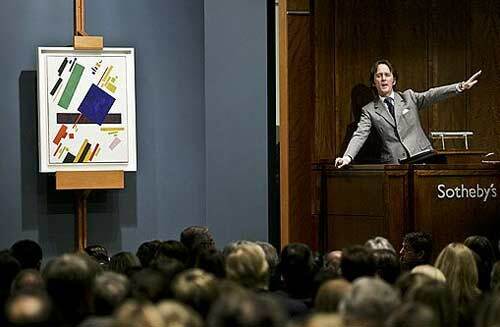 The work had been estimated to sell for about $60 million, and just one phone bidder vied for it. The sellers were the artist's heirs, who gained ownership of the painting and four others after a court battle with the city of Amsterdam. The canvas had been part of the Stedelijk Museum collection since 1958 and was returned earlier this year.